Sometimes students who need the most help are reluctant to ask for it. I always want to let students know that I care about them and want to help. I created these cards with the Card Maker Tool from Mailbox Gold 101 Tool Kit in less than a minute. 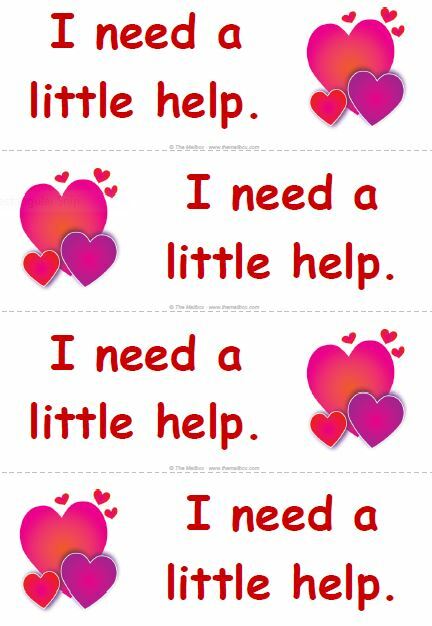 I will print on card stock, laminate and use a small piece of Velcro to attach one to the side of each student’s desk. I plan to tell my students to put the card on top of their desk whenever they need help. I picked the heart graphic because I want them to know that I LOVE to help them. You can create this too at TheMailbox.com.